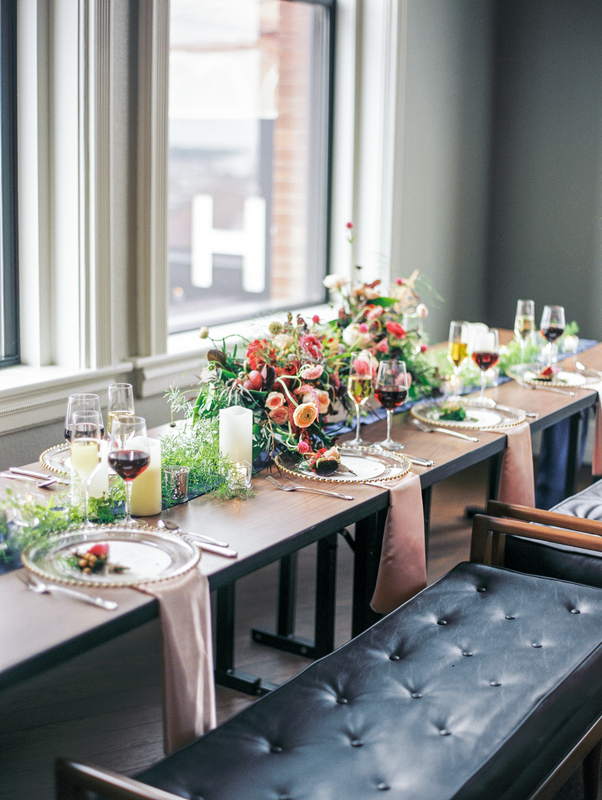 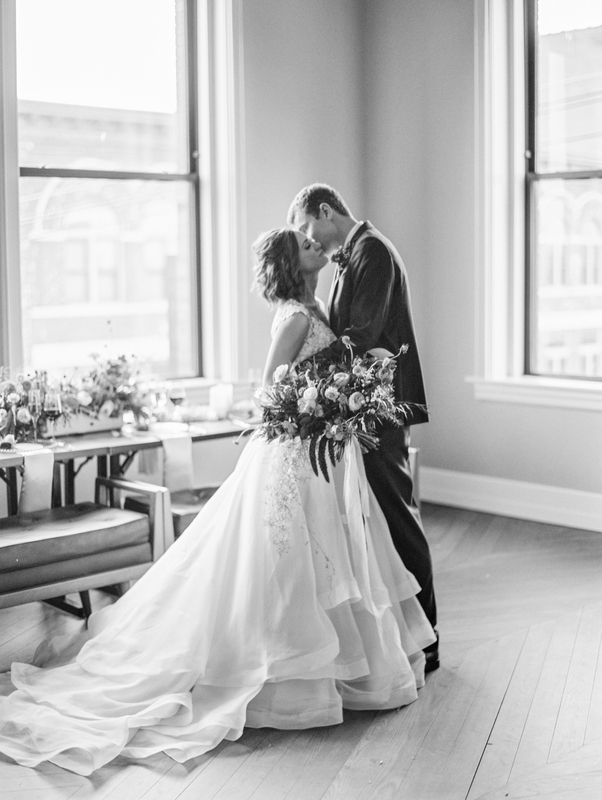 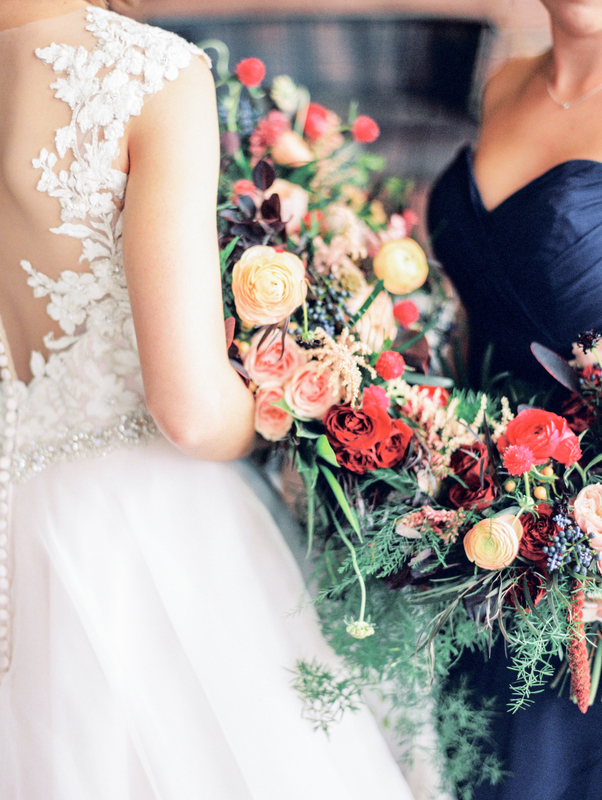 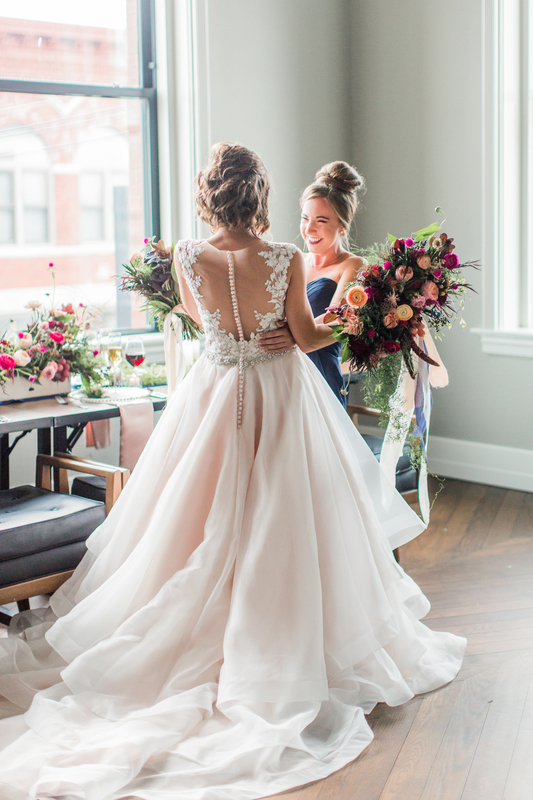 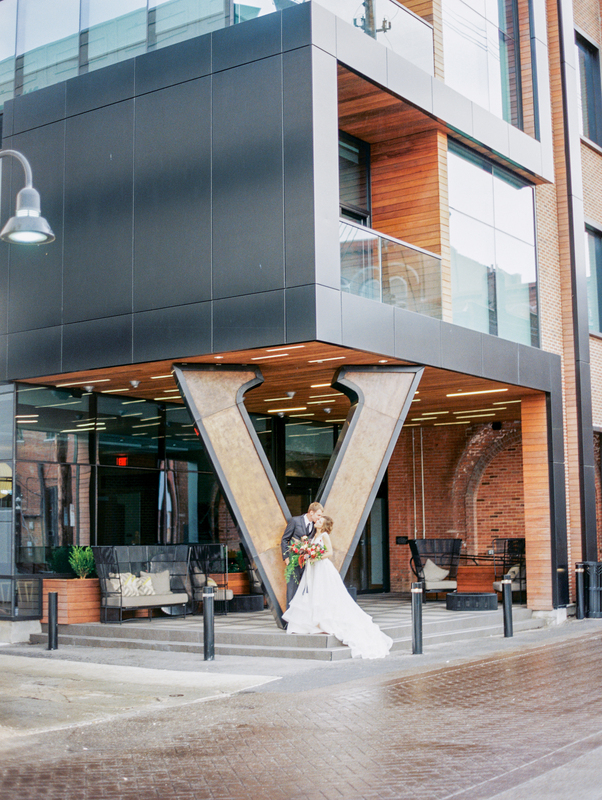 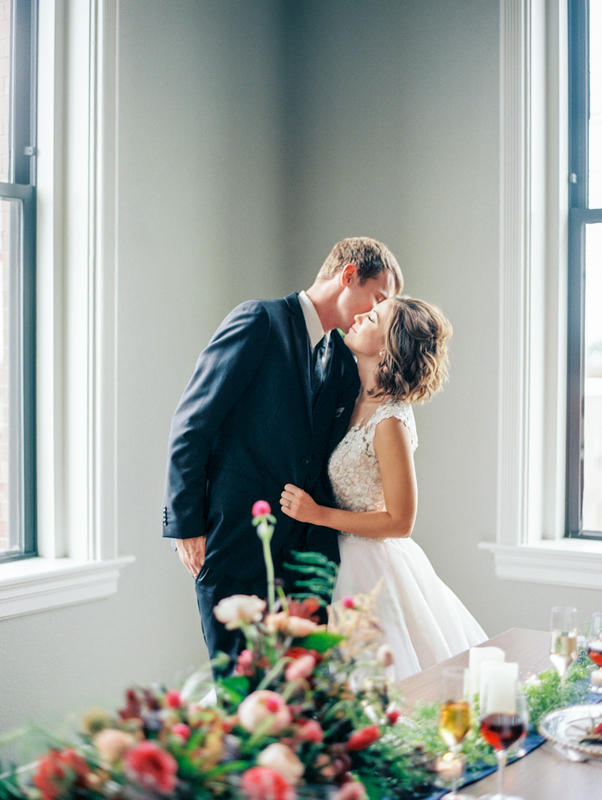 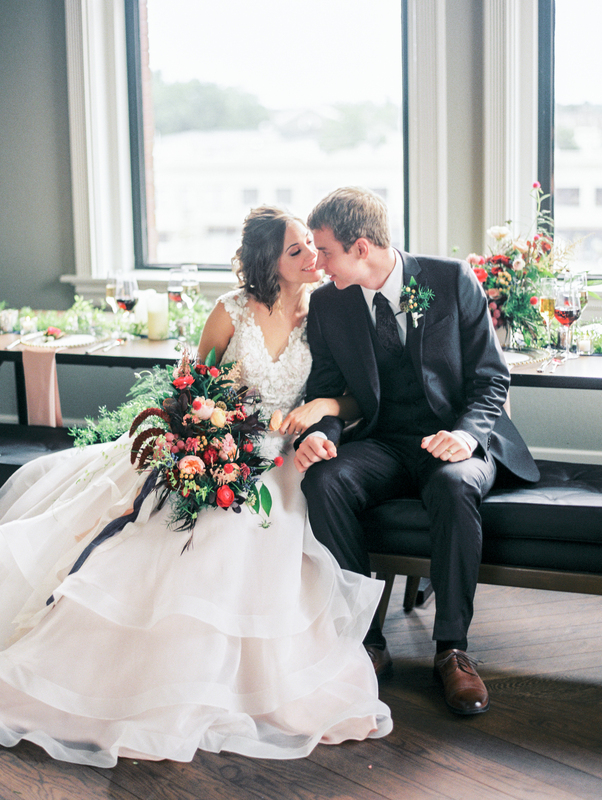 Jordan Brittley Photography and her team including planner Allie Rose aimed to create inspiration for couples who find themselves in those transition months – the months that happen when the weather and the colors are still changing in the Midwest. 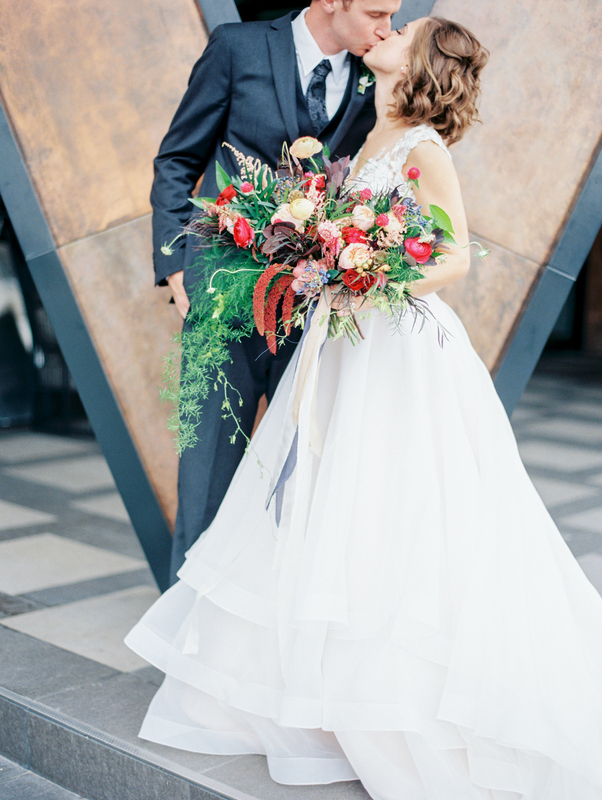 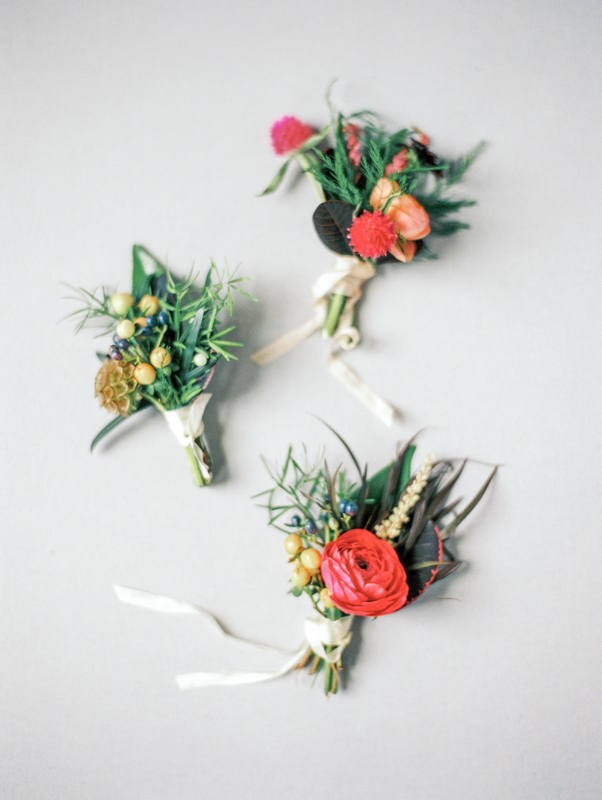 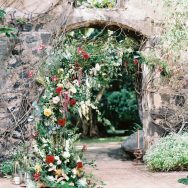 When a couple is itching to express the bold colors of spring, but might still be confined to an indoor venue. 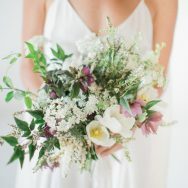 Along with amazing florist He Loves Me Flowers, the team knocked it out of the park and definitely brought the lush vibes the blooming season into the cool urban setting at Hotel Vandivort. 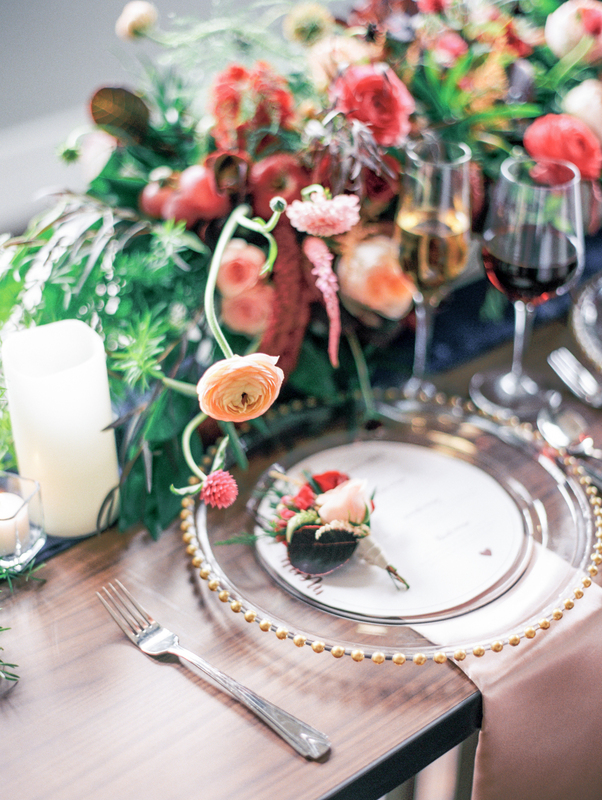 The rich, modern textured of the venue are balanced by organic textures through the florals, wood table, and hand-dyed ribbon. 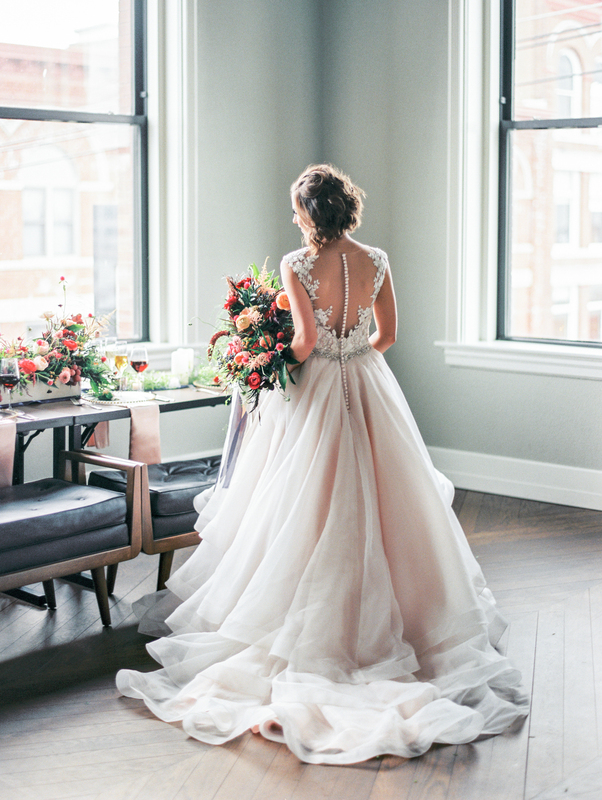 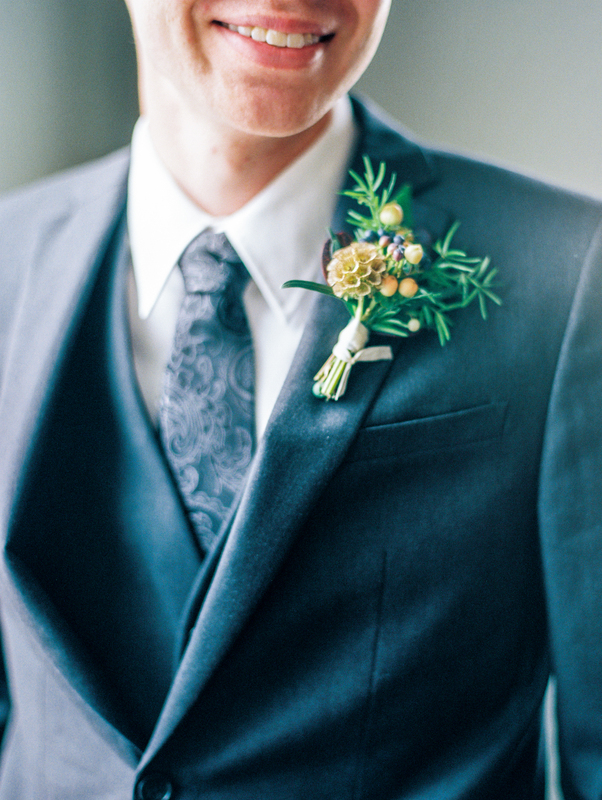 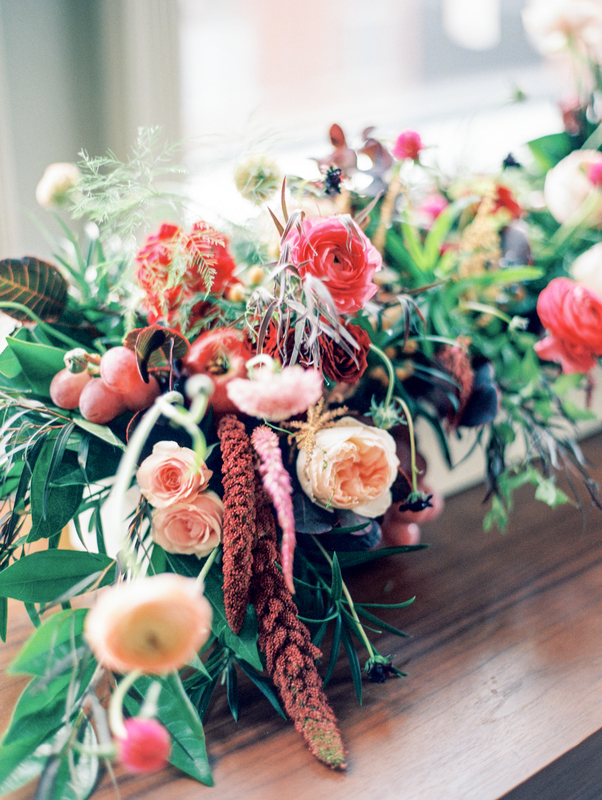 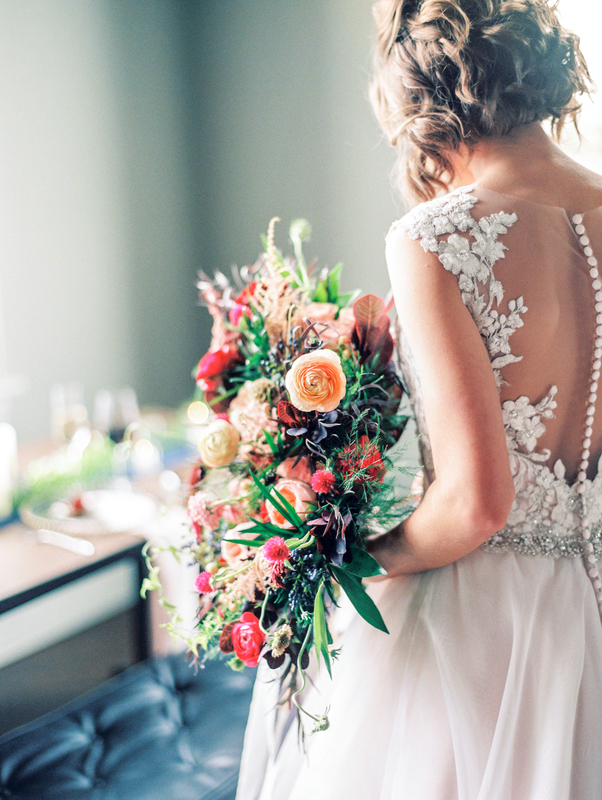 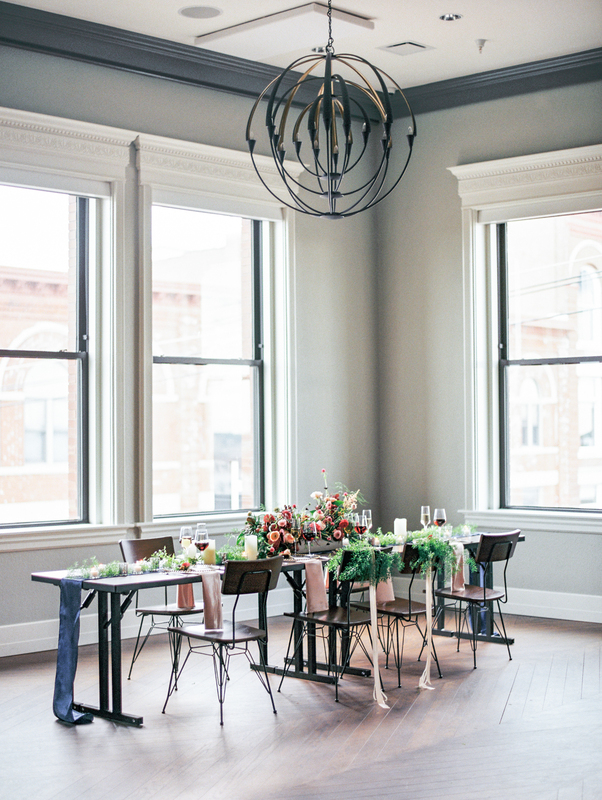 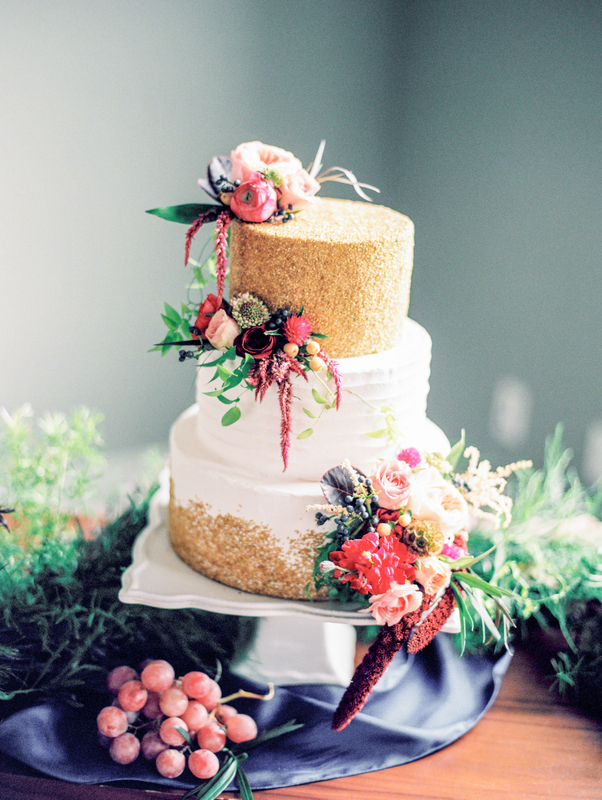 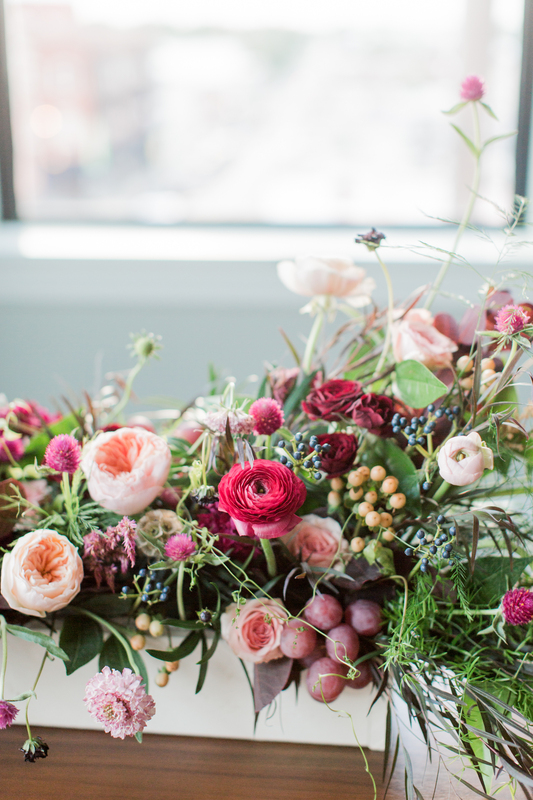 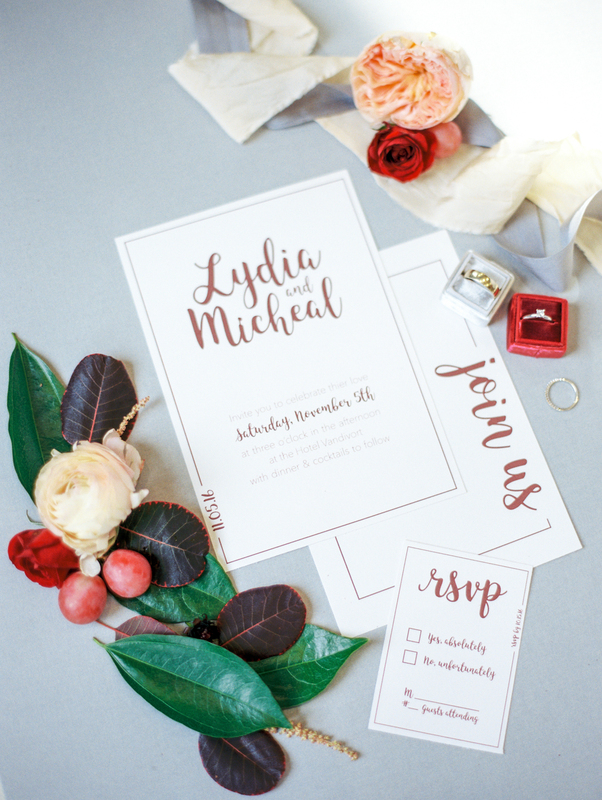 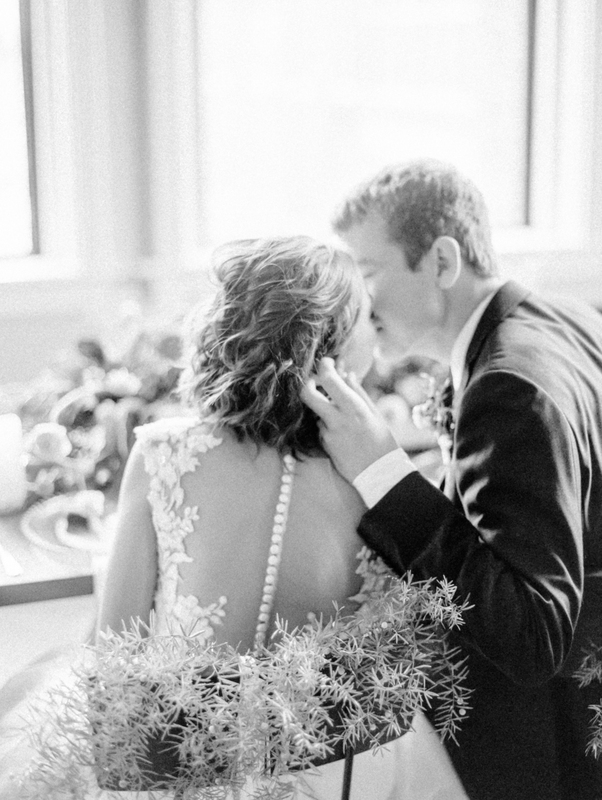 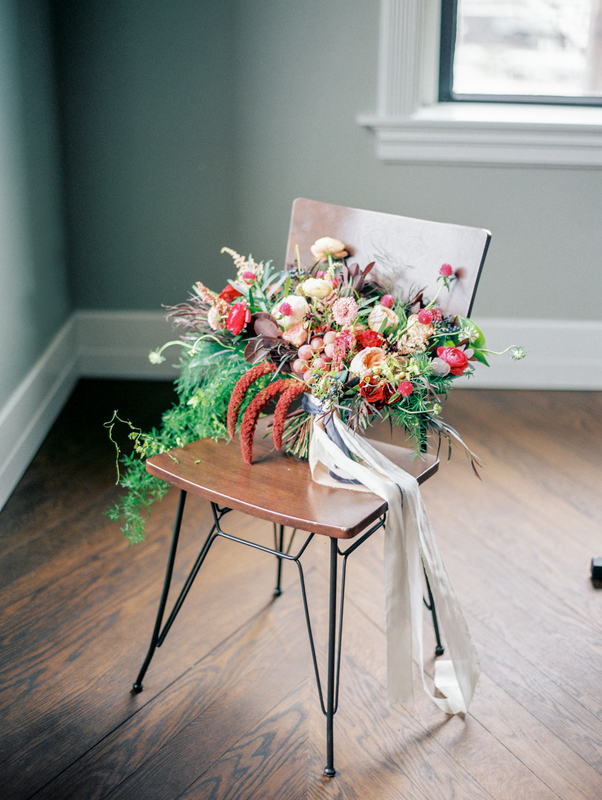 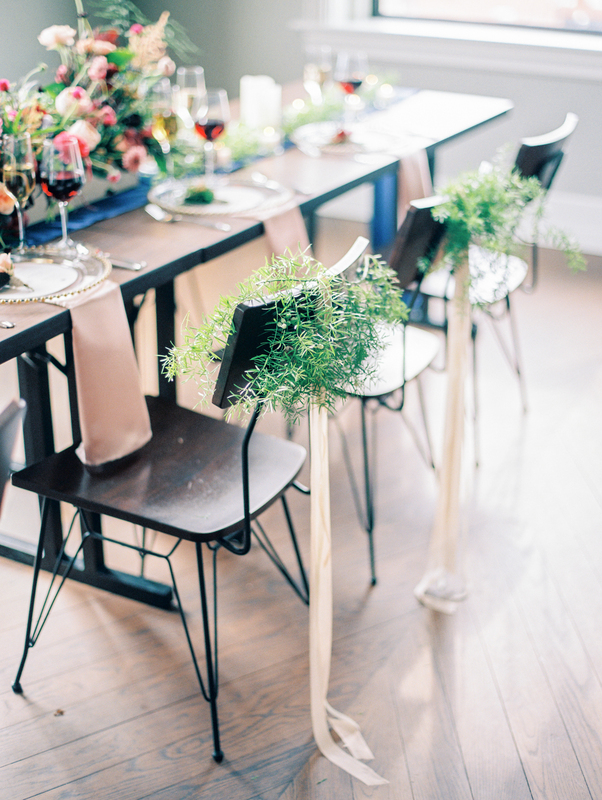 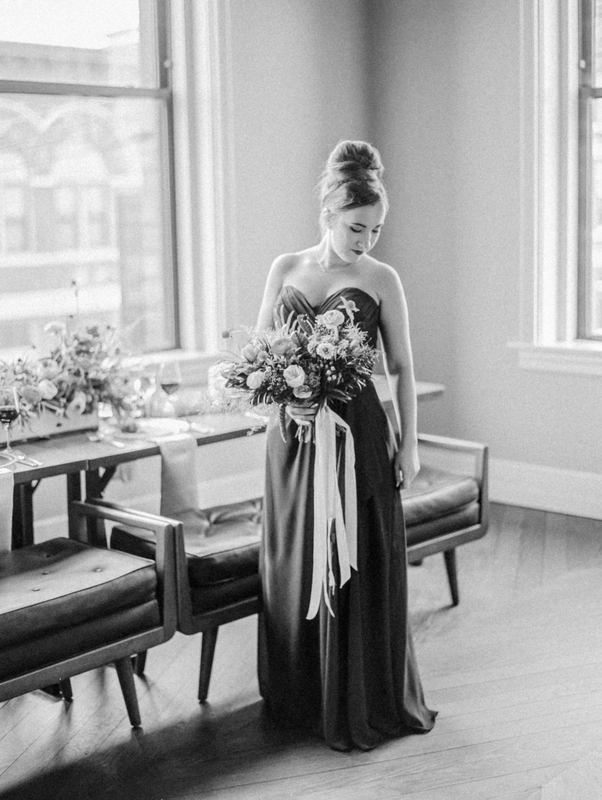 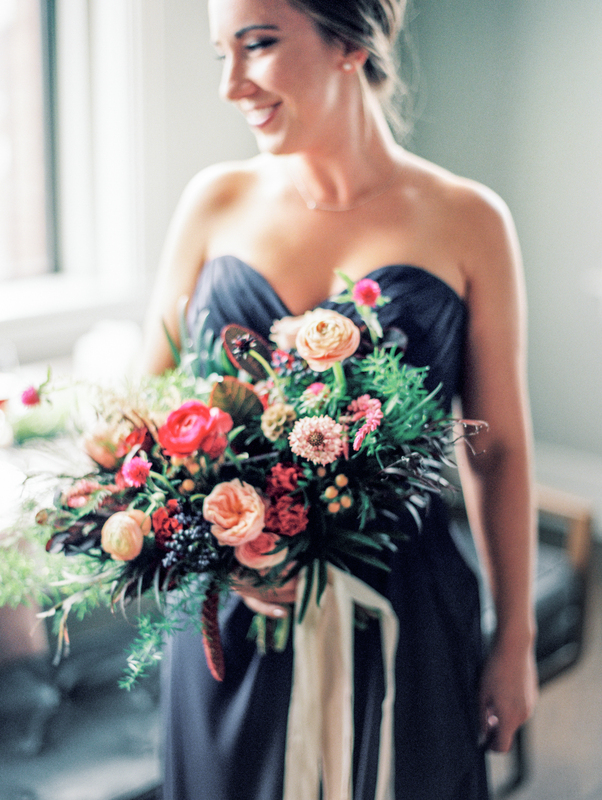 We’re loving the result and are totally inspired by these gorgeous images by Jordan Brittley Photography.